Sports betting could be made legal in part of North Carolina, with local lawmakers expecting it to become a massive industry worth billions of dollars. Yesterday, the Senate of North Carolina passed a bill that would provide local casinos run by Native American tribes to provide their customers with options for betting on college and professional sports. The proposed piece of legislation passed the Senate with bipartisan support, with 43 to 7 votes. For the time being, the Eastern Band of Cherokee Indians, a tribe which owns and operates two casino venues in the western part of the state, is the only one in North Carolina which would be able to benefit from Senate Bill 154, if the latter is turned into law. For quite some time now, North Carolina Indian Tribes have been able to offer various forms of gambling in the state. According to the sponsor of the bill, Senator Jim Davis, the proposed measure could boost the revenue of the tribe by bringing it about $14 million on an annual basis, and about $1 million to the state. At the Senate hearing, he explained that proceeds generated by the casino industry have been having a positive impact on the community. The push for sports betting in the state has come after the sports betting market liberalization by the US Supreme Court in 2018. 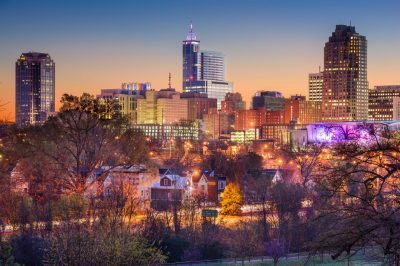 The recently proposed measure in North Carolina would see sports betting limited to tribal casinos only, as the new form of betting would not be allowed elsewhere across the state. The proposed Senate Bill 154 is to now proceed to the local House of Representatives. If given the green light there, it will get to the desk of Governor Roy Cooper expecting a signature or veto. At the time of the yesterday’s vote, not even one of the seven senators who turned down the proposed piece of legislation provided an explanation why they voted against it. A previous attempt aimed at legalizing and regulating daily fantasy sports (DFS) in 2018 had failed in North Carolina Legislature, with some Christian groups opposing the bills they believed would promote gambling to local communities. The Chief Executive officer of the Eastern Band of Cherokee Indians, Richard Sneed, explained that the addition of sports betting to their gambling venues would provide casino patrons with new betting options. 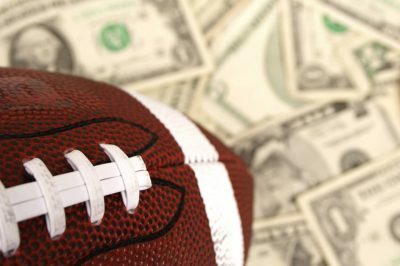 Still, he shared that in his opinion, sports betting would not be a big money-maker for the casinos, and as far as additional revenue to North Carolina coffers is concerned, he shared that the new betting option would probably lead to a slight increase in the state’s gambling revenues only. Mr. Sneed further explained that sports betting is expected to create a new clientele for state casinos, as the market is still emerging and it is quite natural for US players to be interested in the new form of gambling.